Progress and tradition rarely go hand in hand – you can have either a feature-packed digital smartwatch or the classic beauty of an analog watch. 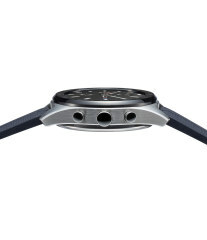 The LG Watch W7 aims to offer the best of both worlds. 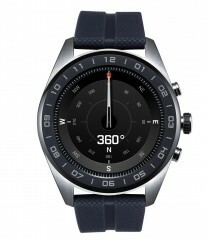 It’s a fully fledged Wear OS watch with a 1.2” LCD touchscreen (360 x 360px). But poking through that screen are the hands of a watch mechanism that was developed in collaboration with Swiss watchmaker Soprod SA. The smart side of things is handled by the fairly old Snapdragon Wear 2100 chip. It’s paired with 768MB of RAM and 4GB of built-in storage. But if you disable those smart features, the 240mAh battery can run the analog watch for 100 days. The better option is this – use the smartwatch as long as its battery lasts, then you have 2-3 extra days of analog-only battery life, so you’ll always know the time. Speaking of, there’s a dual time feature implemented in a way that perfectly describes the watch – one half is digital, the other half is analog. 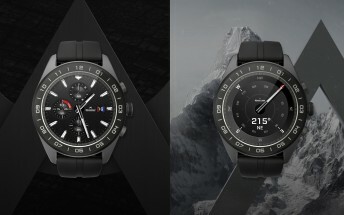 The LG Watch W7 is IP68 rated and features a suite of Master Tools for those who like adventure. 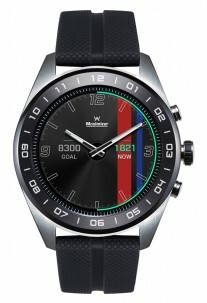 They include a compass, altimeter and barometer. There’s no GPS, unfortunately. 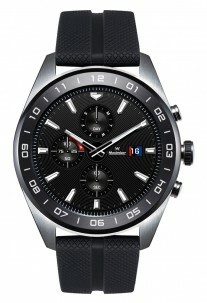 The watch uses standard 22mm bands, so you can change those at will. 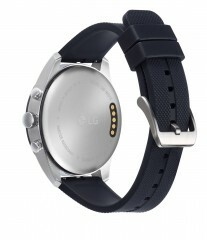 LG itself offers a very wide selection ranging from the elegant leather or metal to sportier NATO bands. The W7 will be available from Best Buy and will cost $450. Pre-orders start October 7 (this Sunday) or you can wait until October 14 to check out the watch in stores.